When you are planning a luncheon, a dinner, or any other type of event where you will be serving food to your guests, you need to find a good caterer serving San Jose . To simplify all the logistics and to make everything easier, you can convert your event into a pizza party. 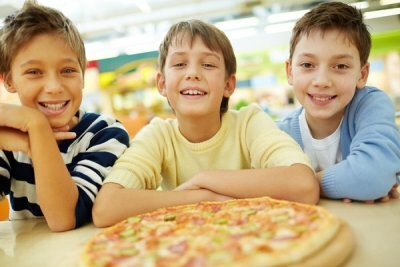 Pizza catering will significantly streamline the process of hosting a party. Use the guide below to plan any catered event. Religious restrictions, lifestyle preferences, and food allergies may restrict the foods that your guests can eat. For any event where you will be serving a substantial meal, ask guests to indicate their dietary restrictions with their RSVPs so that you have time to adjust your catering accordingly. When you order pizza, this is rather easy. You can adjust the pizza toppings to avoid certain types of meat or veggies, and you can even order gluten-free crust. Make sure to ask the pizzeria to label everything clearly. If you plan on serving food at the very beginning of your event, you might be able to pick up your pizza order yourself, especially if your group is small. However, if you want food to arrive in the middle of an event, or if you are ordering several dozen pizzas, you’ll probably want to arrange for delivery for maximum convenience and time- saving. Pizzerias are used to sending drivers out with orders, which is another reason why pizza makes such a great option for catered events. Deep-dish pizza is thicker and heartier than other styles of pizza, and most people find that it’s easiest to eat with a knife and fork. Make sure you provide these for your guests. You can use disposable plastic utensils for maximum convenience. Also, don’t forget beverages to go with your pizza. Ask the pizzeria about providing sodas, and for more adult choices you can get cases of your favorite beer, or even bottles of wine—both go great with Chicago-style pizza! To throw a fun graduation party that your teenager or college grad will enjoy, you need to do more than just find a venue and a caterer serving Palo Alto. You need to create a fun atmosphere and include your soon-to-be-grad in the planning process. Throwing a pizza party is a great way to ensure that the vibe stays casual and the catering is easy. Once you’ve set your date and thought about your pizza options, you’ll need to pick a theme and some entertainment for the party . Watch this video for tips on a planning a graduation party. Remember, ordering pizza is always a great way to make sure you don’t have to deal with complicated catering orders. With the school year and the sports season drawing to a close soon, it’s time to start planning your end-of-season banquet. One of the first things you’ll need to do, after securing a venue, is to find a caterer serving Palo Alto who can provide a variety of delicious food that will accommodate all guests and their dietary preferences and restrictions. Pizza is a great option, since it is easy to serve and sure to please. Use the tips below to help plan your banquet. The choice of venue will depend on the size of your group. Count the number of athletes on your team, and determine how many guests you will allow them to bring to the banquet. This will determine your maximum attendance size. If you start planning early, you might get your RSVPs back before you have to select a space. Whether you want to holding the banquet in someone’s home or at a local pizzeria, you need to plan it early to secure the venue. To make sure that everyone can enjoy the catering, you need to collect information on their dietary preferences. This will be easier if you provide a place for them to note dietary restrictions on their RSVP cards, or on an online form if you are using one. This will allow you to order gluten-free pizza dough, vegetarian pies that omit meat toppings, and other delicious pizzas to satisfy your athletes and their families. Ask the caterer to label each pizza, especially the gluten-free ones, because gluten free pizza dough looks the same as regular pizza dough. Although one slice of pizza can contain all the essential food groups—grain, fruit, veggies, dairy, protein—you should still serve other dishes at your end-of-season banquet. Classic pizzeria appetizers such as calamari and stuffed mushrooms are always crowd pleasers, and many diners enjoy a salad with their pizza. And don’t forget to reward the athletes with a delicious dessert!